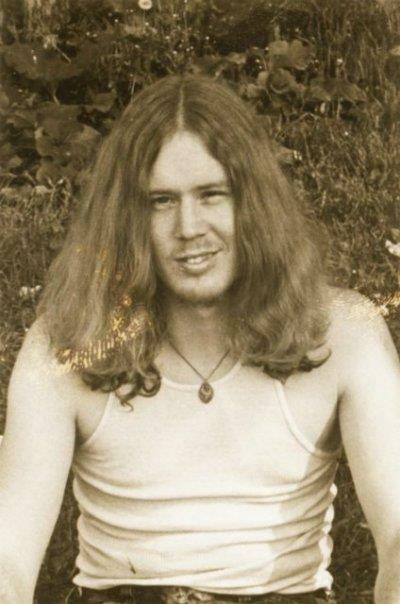 My long-haired self in 1979, two years after joining Jesus People USA, at a Lake Michigan community picnic. January 16, 1977, my nineteen-year-old self joined Jesus People USA. To celebrate my “fortieth anniversary” as a communard Jesus Freak, I offer forty quite random ideas about community. Some are general. Some are specific. Some are a sentence. Others take a fairly beefy paragraph. So…. 1. Love and forgiveness are the twin necessities of life together. 3. Friendship isn’t about liking the same things; friendship is about a long commitment rooted in a daily choice to persevere. 4. I am still surprised how often whatever trials I am going through are often trials those around me are passing through. “A community of Joy, a community of Grieving.” This comforts me. 6. Some things must not be lost… or all will be lost. For us? Jesus and His Gospel. We can be all things to all people… but only if we remain true to our own identity. 7. Community is a place where the old must graciously make way for the young; the young visionaries and artists come to community because they sense its creative life, rooted in Jesus. 8. Community must not exist for itself, but for the poor, for its neighbors, for the world. Otherwise it is nothing more than an extension of selfishness dressed in altruistic and religious clothing. 9. Community is a shelter where families – husbands, wives, children – should be able to nestle and thrive. 10. Community will always experience failure. ALWAYS. Failure reminds us that simply because we live this way doesn’t make us super-Christians or perfected saints. Failure reminds us we are on a journey toward love, in love, with love. And the journey can be very painful — to us, and to those we hurt with our hardness or ignorance. 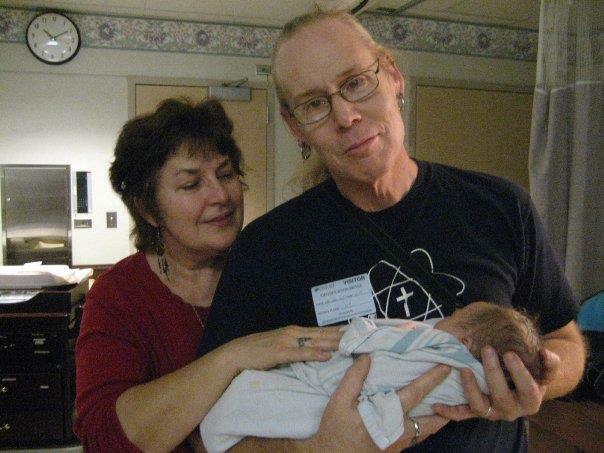 My wife Carol and I, holding daughter Tabitha’s baby (and our granddaughter) Naya in 2008. 11. Young communities make youthful mistakes. We thought we knew a lot when we were younger. We were more interventionist, more willing to go out on a limb to “tell” one another “the truth.” Older communities begin to pull back from pronouncements, either corporate ones or individual ones. One respects one’s own fallibility… and this can be taken too far. Seeking a balance is hard… how do we give one another godly advice / guidance while also stepping back in respect for each individual’s own journey? “Spiritual Direction” (hey, Neil Taylor) is one way we’ve tried. But it cannot be the only way. “Let your yes be yes, and your no, no” (Matt 5:37). A community that does not provide guidance is no longer serving its members but merely providing a hostel. 12. Sexuality. Yes, both problematic and beautiful. As someone highly sexed, I celebrate every chance I get God’s gifts in that regard and have no shame in saying so. Yet among broken human beings, most of us being in that category, sexuality seems to be a place where our brokenness is most damaging to others. Christ’s boundaries — where even looking lustfully upon another is adultery — mean that we ought to be incredibly tender with one another’s failings, because virtually none of us are guiltless. Yet when sexual sin involves another who is younger and/or easily targeted by another, the community must protect its vulnerable members from predation. 13. None of us are whole persons. Another person’s brokenness reveals our own. This terrible lesson of community is why so many do not stay; confronting oneself is the great task of discipleship and the hardest, never-ending. 14. We are not, as a community, self-sufficient and self-contained and should not imagine ourselves as such. We rely upon other believers, our neighbors, our government officials, scholars and scientists. In short, we are a community among communities, and our own oneness, as imperfect as it is, hopefully leads us into further involvement with others rather than estrangement or dismissal of them as somehow beneath our magnificent perfection (ha!). 15. When one or more people at the heart of the community die or leave it can shake up and (for good or bad) transform the community. I lost two of my dearest friends, Ida Dawn Mortimer and Curt Mortimer, to death, and also a married couple / co-pastor team who moved out soon after Dawn’s death. Another pastor and dear friend left the community as well. (They all three remain dear friends.) The loss of those primary relationships for me has vastly altered my experience of community; I feel a loneliness which is incurable, frankly. But even in that loneliness I find Grace, the Invisible God Whom I loved as a young man but have to learn a deeper love for as a middle-aged man. This lesson draws me into the heart of God, where Sorrow and Joy are. I am not there wholly, nor is it likely I shall be in this lifetime. But I will not give up on community even as I experience community’s limits to comfort me. 16. “The Law for me, Grace for you.” Though there are some exceptions to this little homemade rule of mine, I do think that the best Christian life exemplifies it. I tend toward excusing myself, being strict with another. The opposite should be true. When another fails, “falls short” (sin’s definition), I might want to law a holy preach on them. But more often than not, they already know everything I’d say and have yelled at themselves over it. Instead — and this surely is one of the great blessings of community life — I can offer to pray with them (rather than “for” them) right there, right then. I might even ask for prayer myself! And my/our prayer, from its words to its tone, will hopefully offer nothing but kindness and humility. A hug. And on we both go in our day…. 17. Always take time to party! I have learned that in community life, every opportunity must be taken to experience frothy, laughing joy. Music, “treats” (yummy food), games, and just gabbing with one another about something or nothing at all… these things bond us together in our commitment to persevere and help us remember that spirituality is *not* about appearing properly serious and somber. 18. I am my brother’s — and sister’s — keeper. Community provides me with the opportunity (but not necessity, unfortunately) of being other-centered rather than self-centered. I once was helping in the kitchen, and a young woman’s face suddenly caught my attention. She looked sad. In between moving boxes and cutting up onions, I asked her a simple question: “Are you all right?” She burst into tears… and I was able to pray with her and give her some easement in the situation she found herself troubled by. This is no great thing… but most things are not “great” but small in life. 19. I cannot save you. Community can offer a deceptive experience regarding someone’s ability to change. Yes, they can change. And yes, community and its members offer many tools to facilitate change. But no — absolutely — neither the community nor any individual can forcefully “save” another individual from wrong choices, wrong patterns, wrong thinking. Only their *own* attentiveness to Christ and willingness to repeatedly listen to others, to Scripture, to walk in obedience to what their conscience tells them Christ wants will overcome. My fancy words are useless. 20. Transparency requires trust, and trust requires broken human being to act in a way which is consistently other-centered and rooted in wisdom. How often does *that* happen?! Yet community requires that we adventure out into trust and transparency. It is frightening sometimes. And yes, others fail us sometimes. We must use wisdom in whom we allow to see into our deeper struggles and darknesses as well as hopes and dreams. But if we don’t… we are truly alone. It is one of the great conundrums of all human community and interaction. 21. Community and pristine certitude, whether about the bible or about salt vs sugar on grits, don’t go well together. Community is a training ground for learning ambiguity, understanding that truth belongs to God and not any one person (or even any one community). Truth and falsehood are not identical, and should not be confused. But neither should truth be seen as “owned” by any one group or person. Community helps those willing to learn how to see through their own realities to at least understand the realities of others. A sort of (my term) “holy relativism” comes into play. Yes, the Gospel of Jesus is truth. But no, I cannot say how that gospel impacts another person’s acts or thoughts. 22. Listening to another person is an art form learned by anyone in community. We don’t always learn this willingly… but if we remain, we will learn it. And we also will be the one doing the talking while another poor soul who could be doing something enjoyable listens to us instead. One writer (Jean Vanier) calls this “being another person’s dust bin” (trash can). We don’t have to have answers. That’s not even the point. To be heard, to be seen, to look into the eyes of another human being and not be alone with our angst and anger and hurt…. our hopes and dreams…. this is such a precious gift. And anyone can gift it. 23. Saying “I’m sorry”… but hey, I am *not* sorry. Community trains us to understand how asking for forgiveness for slights we may not even understand we’ve committed is (at least many times) necessary. I cannot say “I’m sorry” if someone accuses me of beating them or stealing their money (unless I did, of course!). We can say “I’m sorry that someone did that. However, it was not me.” But in many other cases, esp. cases where emotions/words more than events are involved, or the two are tangled up, saying “I’m sorry” does not hurt us at all. Perhaps, even if misunderstood by another person, our words did wound? Perhaps I spoke more sharply to her (my vocal tone) than I felt inside? “I’m so sorry I hurt your feelings by speaking that way.” Putting another before myself is a biblical concept…. 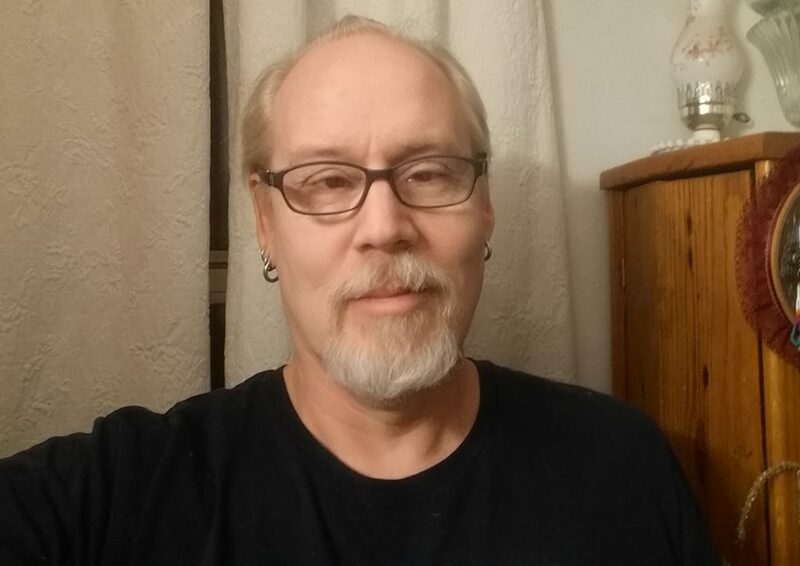 Still a touch of red in that hair…. what’s left of it. December 2016. 25. Community is about small things; minor disruptions, momentary victories, moments of laughter or tears. In these small things God is present. Always we look for God in large events, worldwide movements. But he is nearer at hand and community reveals him there. 28. Look for the person without obvious giftings, without sparkling intellect, without anything attractive to draw our eyes or ears. Then ask, “How does this community treat this person?” You will find the answer to how healthy that community is by pondering this question. 31. Silence can save a community or kill a community. Silence in the face of sin will kill it. Sexual sins by the powerful against the powerless? Thievery of community funds? Adultery between members? These things must be confronted, and usually publicly, esp. if leadership itself is implicated. Communities must be awake and aware if their own structures create shelter for such cancerous silences. On the other hand, silence of a different kind is a gift to the community. No community which always talks, always is together in groups, is healthy. Each person in the community needs silence to pray, to read, to rest, to enjoy “alone time.” Spiritual depth is not possible without silence before God. 32. Idealist Romantics join communities. Angry Cynics leave communities. Those who learn to hold on to that first love while also admitting they were vastly mistaken about how hard love can be are the ones who end up staying… or leaving because they sense a deep calling elsewhere rather than because they are just plain annoyed / resentful. 33. A Christian community – any Christian community — finds its identity in Christ. Seems simple enough. But… do we know who Christ was, and is? Do we understand what discipleship — the purpose of our living together, after all — is about? “Come, follow me.” How do we follow our Invisible Lord / Savior / Friend / Lover? How do we ascertain his will for us, individually or corporately? How do we enter into his heart, allow him to enter into ours? 36. Community disabuses one of hero worship. It is a great leveler. I see my pastors’ frailties and sins; they see mine. This is a 24/7 life we live together. “Small” sins such as impatience and irritability cannot be hidden. And their results upon the community underscore reality, that they are not small sins, that they do damage to others around the person allowing themselves full expression of what truly amounts to selfish anger. One finds it hard to be grateful for this “no place to hide” aspect of community… but in one’s sane moments gratitude isn’t absent. 37. True community encourages unity… but not unity at any price. The tension between embracing and refraining from embracing always exists. This tension is a sign of health, needing careful and thoughtful examination always. 38. Individuals have blind spots and so do communities. “There is wisdom in the counsel of many,” Proverbs (in various places) notes. But even many can be wrong. The individual can at times correct the community. In all, however, humility is desperately needed. Egoism is an enemy of community just as self-loathing is the enemy of the individual. 39. It is a myth that only weak people join communities. The inverse is more often the case. Living intentionally — giving up the “American Way of Life” for something looking sectarian or even cultish — takes intestinal fortitude. Creative, strong people often join communities. As they continue in community, they (in a paradox of sorts) must learn to be strong enough to lay aside strength for vulnerability. Yet in this laying aside conscience must never be overridden, and no one community member given a “God says” command over another member. It is no wonder communities fail. It is a miracle some survive. 40. For this long-term member of forty years, community — like Christ Himself — must be rediscovered. There are seasons of doubt, seasons of bereavement, and seasons of joy. The meaning of community in Christ is mystical. I am a member of the Body of Christ, and this tiny expression / part of it — Jesus People USA — is a visible sign of the Whole Body. “I am sorry.” “I forgive you.” “I love you.” “I need help.” “Pray with me.” “Hold me.” “Work with me.” “Show me the Way.” We all take turns lifting, falling, weeping, laughing, hugging, listening. We are human beings attempting to love one another rooted in God’s Love for us. Jon, thanks for sharing. Your writing is very encouraging and I appreciate your candidness. Here’s to another 40 years brother.